Steam Cleaning To Remove Even The Toughest Stains. Top Quality Services For A Wide Range Of Cleaning Applications, Including Home And Office. The Best Dry Cleaning Team in Perth, WA. Local Team Conveniently Servicing Rockingham And Surrounding Suburbs. Quick Response Time To Minimise Downtime. Hire Us Today To Freshen Up Your Carpets. Easy Stain Removal For Piece Of Mind. Welcome to Rockingham Carpet Cleaning, making carpet steam cleaning and tile cleaning a hassle of the past. Call us on 1300 495 757 for a FREE quote! Gone are the days where you had to spend back breaking hours trying to steam clean the carpets or scrub the tiles or trying to remove the dirt that builds up in the grout. We have a much simpler solution for you..hire us! Carpet cleaning is in out blood, or rather stain removal is. We are extremely proud of the services we provide to the residents of Rockingham, Baldivis, Safety Bay and the surrounding Peel region. 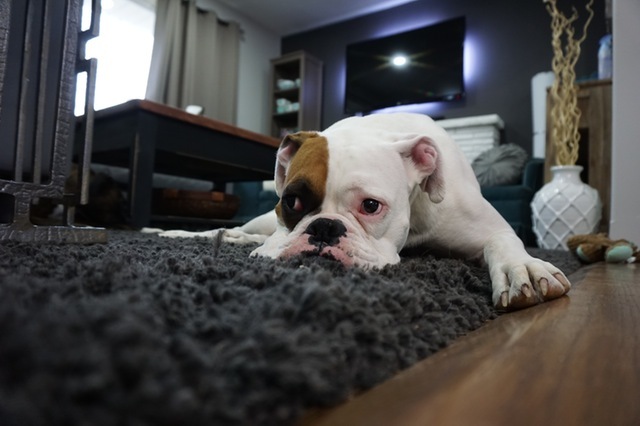 We take care to ensure that your carpets get the very best clean possible, leaving them looking and smelling brand new. We believe in doing the job properly and whether it is your carpets that need cleaning, tiles or upholstery we have the team, experience and tools to give you a professional job done right. It goes without saying that mess is apart of our day to day life, often our carpets, tiles and upholstery dealing with bulk of the dirt. Your standard vacuum quite often doesn’t have the power to give your carpets that really deep clean. Sure it remove, hair and fluff from the surface but it is deep within that dust mites, stains and bacteria are found. Only a professional carpet cleaner can get this sort of work done, often using a steam cleaning system to penetrate deep enough to remove the stains and odour. We are always free for a chat all you have to do is call us. We will gladly give you a no obligation, free carpet cleaning quote. Not only can you call us about carpet steam cleaning and tile and grout cleaning, you can also give us a call on upholstery cleaning and stain removal. Mattress and leather cleaning are also apart of our services that we are happy to quote for. We personally guarantee that we will get the job done right. We service the Rockingham, WA area but will gladly branch out into other neighbouring areas. Alright lets bring those dank, dark, stained and smelly carpets back to life with our dirt busting steam cleaners. We are confident your carpets will have never been so clean once our team are done with them. You’ll be mistaken if you think your lounge and chairs don’t need a good clean as well, particularly if you have sneaky pets. Hair, spilt food and drinks get stuck into the fibres and slowly stain as they breakdown. They may look clean but we ensure that after we have cleaned the upholstery you will definitely notice the difference. Have the dogs and cats been getting onto the lounge a little more often than you would like? Odours are obviously not pleasant but getting covered in dog or cat fur when you sit down is equally bad. Our cleaning service aims to rid your upholstery and carpets of these nasty smell and leaves your house smelling brand new. Don’t neglect cleaning your rugs! They may be a feature or centre piece in your house be we guarantee they will be hiding bacteria and dust mites away as well. Our steam cleaning service is just as effective on rugs as it is on carpets. We will be sure to blast those nasty’s away and have you utilising the rug that very same day. Why spend hundreds of dollars on cleaning products that still require further elbow grease to partially get the job done. We can make your bathroom sparkle like never before. After your tiles and grout has been cleaned by our professional cleaners you will simply be amazed at the difference. You wash your bedsheets on a weekly basis but do you realise that your mattress can be harbouring bacteria, odours, dust mites and other nasty’s? If your mattress is due for a good clean then let the Rockingham carpet cleaning team have a look at it. We can revamp your mattress to leave it looking and smelling as good as new. Just because it looks clean on the surface that doesn’t mean there aren’t harmful bacteria festering below. This could not be more true when it comes to stain removal. Spilt food and drink may be cleaned on the surface but they penetrate carpet and upholstery and it takes steam cleaning to remove it. By giving it a good wash by hand you are only wetting the carpet which can lead to mould further down the track. Let the Carpet Cleaning – Rockingham team get involved and sort it out for you. Has your carpet got a little more than a few stains? Sometimes life throws use something a little more serious but not to worry, our carpet cleaning professionals offer a carpet repairing service to take care of any burns, bleaching, furniture indentation, fuzzing or marks left from heavy foot traffic. Our service even extends to repairing carpet joints and stair runners. Get in touch to find out more. We are the one stop shop for all of your carpet cleaning services in the Rockingham area. For a obligation free quote just give us a call on 1300 495 757 or fill out the form to the right of page to get in touch. You are only one step away from the fresh carpets you deserve. Rockingham Carpet Cleaning is located centrally to the area near Rockingham Centre and nearby tourist attractions such as Cape Perron. Being in such a central location with neighbouring suburbs such as Baldivis, Waikiki and Kwinana on our door step allows us to not only look after our area but serve customers within the entire Peel area of WA as well. Directions from Rockingham Carpet Cleaning, WA to Jandakot Airport (JAD, YPJT). Follow Simpson Ave to National Route 1, Head north on Goddard St towards MacKinnon St, Continue onto Simpson Ave, Turn left onto National Route 1, Use the right 2 lanes to turn right onto Thomas Rd/State Route 21, Turn left onto Abercrombie Rd, At the roundabout, take the 3rd exit onto Anketell Rd, Use the left lane to take the State Rte 2/Kwinana Fwy slip road to Perth, Merge onto Kwinana Fwy/State Route 2, Take the Berrigan Dr exit, Use any lane to turn right onto Berrigan Dr, Turn left to stay on Berrigan Dr, At the roundabout, take the 2nd exit onto Karel Ave, At the roundabout, take the 2nd exit and stay on Karel Ave, At the roundabout, take the 2nd exit onto Eagle Dr, Turn left. You have reached Jandakot Airport. Directions from Rockingham Carpet Cleaning to Rockingham Wild Encounters.